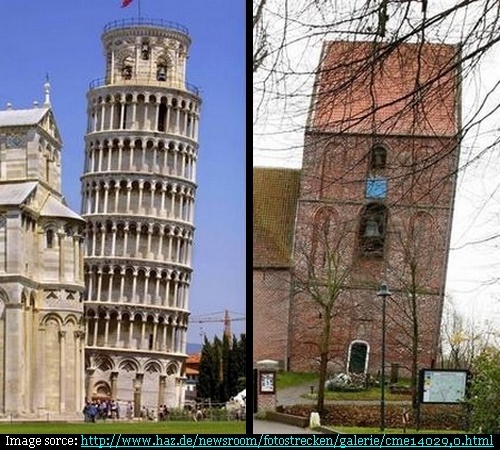 Till recently leaning tower of Pisa held the record of maximum degree of tilt from the vertical but in September 2008 Guinness World Records recognised the steeple of the church in small town of Suurhusen, Germany, known as "Leaning Tower of Suurhusen", as the most tilted tower in the world. It is known as the . 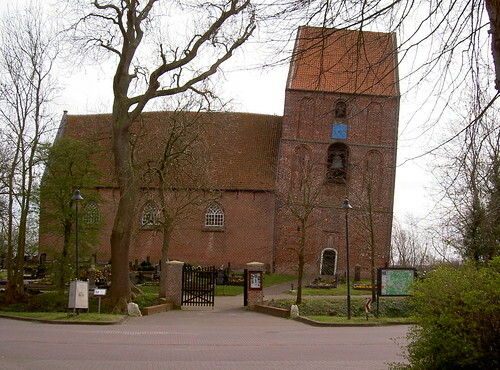 The Leaning Tower of Suurhusen currently leans at an angle of 5.19 degrees - compared to just 3.97 degrees for the Pisa tower. 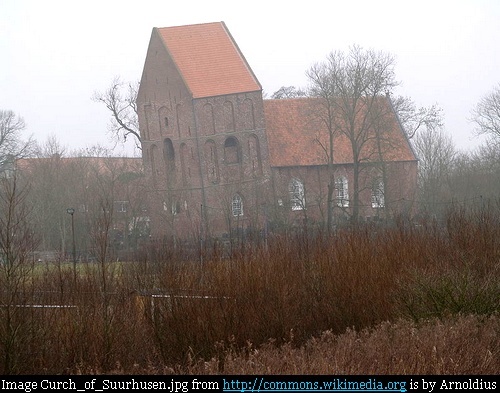 It may however be noted that the Tower of Pisa is much higher (56.70 metres) than the Tower of Suurhusen (27.37 metres) hence its tilt looks more prominent.